SKANDINAVISK’s Ro Reed Diffuser will infuse your home with a calming fragrance inspired by the peace, calm and tranquillity of the Scandinavian kingdoms of Denmark, Norway and Sweden. 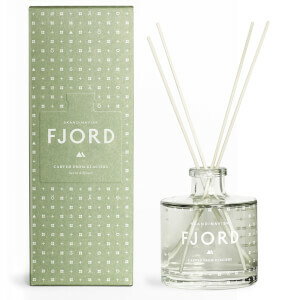 Ro, translated from Norwegian means ‘calm’ and combines notes of fresh grass, crumpled leaves, tree fruits and ambered wood. Perfumed oils are blended and hand poured into a glass vessel to bring a subtle, stable fragrance to a room for up to three months. Each diffuser comes with a set of reeds and is presented in a gift box.